I wrote this post last year as we were rebuilding and re-imagining what our lives could look like. It still rings true this year, as we face the start of a new chapter. I've written about our journey towards minimalism here and here. But I wanted to touch on a subject that's come up quite frequently in my study of what minimalism is. You may have heard of the book "The Life Changing Magic of Tidying Up" by Marie Kondo. The "KonMari Method" that the book outlines involves holding each object you own and deciding if it "sparks joy." If it doesn't, out it goes. I found this article that outlines the process in a straightforward infographic. The part that jumped out to me was this: "Your home should be joyful and every single thing around you should be a reflection of that." 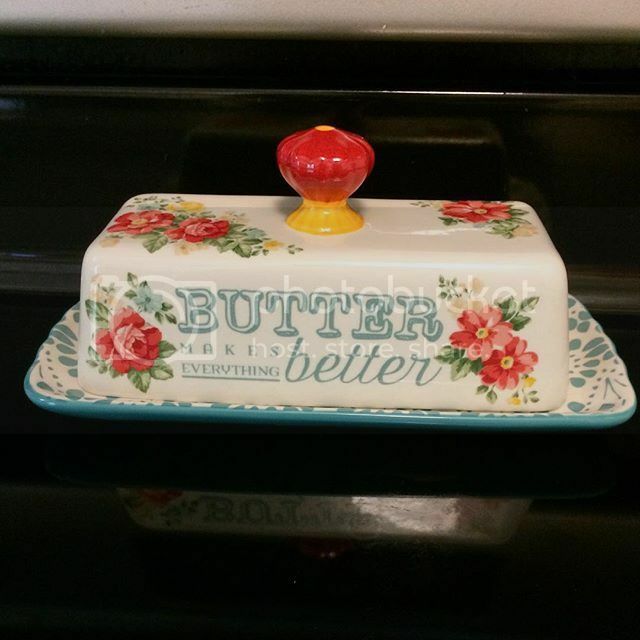 Last year I posted this photo on Instagram with the caption: "This #pioneerwoman butter dish #sparksjoy for me. As we refurnish our home (after majorly downsizing 2 years ago), I'm intentionally selecting things that are equal parts beauty and function. 💙 And I'm trying very hard not to rush the process of rebuilding our lives." And all of that true. But like with any snapshot of a life, there's much more to the story than that little square can tell. 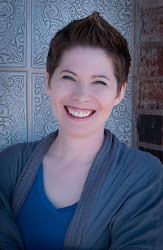 Because while I'm intentionally trying to choose things that spark joy, I'm also intentionally practicing gratitude. And that's worth far more than any cute little butter dish, or new car, or fresh paint job. There's an insidious danger in feeling like every item we own must spark joy of its own accord. And if you're a huge KonMari fan, please hear me out. What I mean is that we can't assume or expect that every item we own should be able to bring us joy. There are things that I enjoy in my home (like that adorable butter dish), but that butter dish on its own holds no power to bring me joy. If I am not using it to prepare meals out of deep love and gratitude for the people in my home, then I might as well be scooping margarine out of a plastic tub. Any joy that we experience must first be birthed inside. Last year, our family transitioned to one vehicle. It wasn't that difficult a transition because my parents generously allowed us to use one of their vehicles whenever we "needed" to- we could have functioned without their assistance, but it definitely made our lives easier. But over time, I felt myself resenting our pickup truck. I was frustrated that we had spent a lot of money to keep it functioning well. I was frustrated about how the interior looked and how the A/C was kind of "quirky." I was frustrated by its imperfections. But at some point, I felt this need to give thanks for that truck. So I began to intentionally offer up gratitude every time I drove it. I would get in, put my hands on the steering wheel, and say, "Thank you God for this truck. Thank you that it gets my family safely wherever we need to go. Thank you that it gets us home again. Thank you that the A/C blows cold air. Thank you that the radio and speakers work so we can listen to music we love whenever we travel." I would say whatever came to mind. "Thank you for the soft seats. Thank you for the sun visor. Thank you for the side view mirrors." Every little thing that I used (the blinkers, the cruise control, the windshield wipers) I would offer up thanks. And something shifted in my spirit. I can honestly say that I love that truck now. It's not my favorite color and the back of the driver's seat is ripped; I have to use pliers to adjust the A/C, even! But I love that truck anyway. It's a gift and now that I see it that way, it definitely sparks joy for me. Maybe you're in a place in your life where you can afford to trash anything you don't love and replace it with something that sparks joy. Maybe you're in a season of life where you're scraping every penny you can to pay the bills and you have to "make do or do without." Regardless, my challenge to you is to give thanks anyway. That ugly thing that you hate and you'd rather replace? 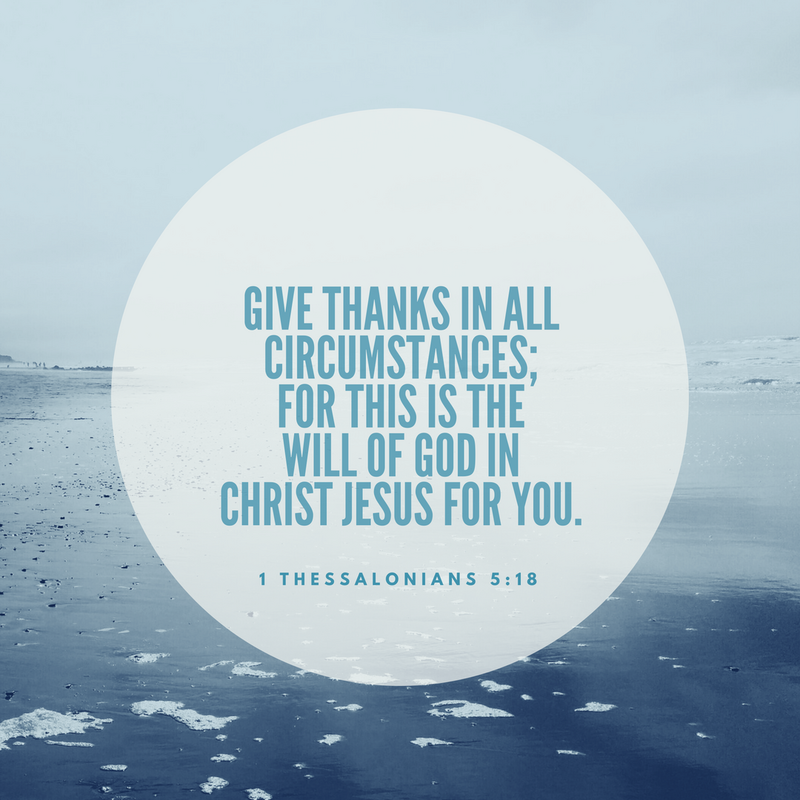 Give thanks. The totally functional bath towels that don't match your shower curtain? Give thanks. The wobbly dining room chairs, or the sofa with the stained cushions or the purse that doesn't match your shoes? Give thanks. And as you give thanks, you may find that as your heart changes, your view of those items changes as well. Maybe they'll begin to spark joy for you. Blessings and much joy to you, friends.